Baseball took all three games against LaSalle, bringing its record to 25-7 (8-1 in A-10) on the season. The Rams dominated all weekend in Philadelphia. They outscored the Explorers 48-12, including a 28-4 thrashing Sunday, to push their winning streak to six. The Rams unleashed an offensive explosion in Sunday’s contest, marking the team’s highest run total and largest margin of victory on the year. Similar to Saturday, the Rams delivered the opening blow, scoring 20 of their 28 runs in the first four innings. After bringing around two runs in the first, VCU hung seven more in the top of the second, aided by home runs from sophomore outfielder Jack Schroeder and junior outfielder Brandon Henson. LaSalle answered with a run in the third, before the Black and Gold erupted for a nine-run outburst in the fourth inning to open up a 20-1 lead. The Rams continued their consistent outpouring of runs, scoring in every inning except for the ninth. On the offensive side, the Rams were led by Schroeder, Henson and senior infielder Zac Ching. Schroeder finished with three hits in six plate appearances and a team-leading five RBI. Henson drove in four on a pair of home runs. Ching, the team’s senior captain, completed the cycle in just five innings to accomplish the rare feat. Sophomore left-hander Devin Dunn picked up his first win of the season, pitching in relief of redshirt-sophomore Justin Sorokowski. Dunn gave up two hits and no earned runs in his two innings of work. The 28 runs are the most by a VCU team since 2010, when the Black and Gold put up 21 against Virginia Tech. 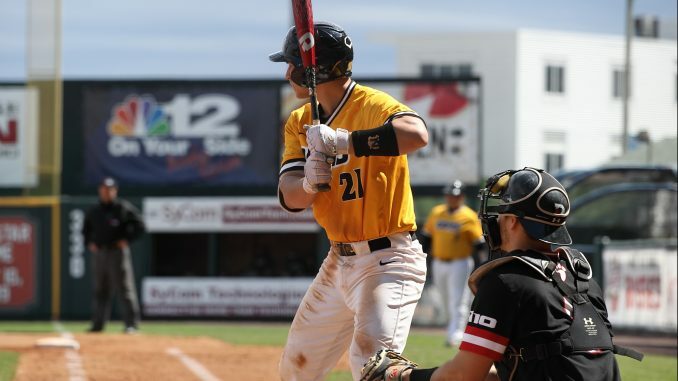 VCU continued its hot stretch April 6, as the Rams survived a late rally attempt from LaSalle to outlast the Explorers 9-6. The win marked five consecutive victories for the Rams, who have won 10 of their last 11 games. VCU sprinted out to an early commanding lead with five runs in the first three innings to take a four-run advantage. The Rams loaded the bases following three walks by LaSalle’s starting pitcher Colin Scanlon. Sophomore infielder Liam Hibbits then singled in a pair to get VCU on the board. After a second-inning throwing error from LaSalle gifted the Rams another run, the Black and Gold scored two more runs in the third to push the lead to four. VCU kept its foot on the gas from there. The Rams loaded the bases for a second time to open the fourth. Following a sacrifice fly from junior infielder Paul Witt, VCU executed a double steal that allowed junior infielder Brett Norwood to reach second and Ching to take home. Hibbits then singled up the middle to bring Norwood around and extend the Rams’ lead to 8-1. VCU added another run in the top of the fifth, before LaSalle scored the final five runs of the game. But it would not be enough for the Explorers, as the Rams hung on for the win. Hibbits led the way for the Black and Gold with two hits in three plate appearances and a team-high three RBI. Friday marked VCU’s fourth consecutive win, as the Rams used a five-run seventh inning to prevail over LaSalle 11-2. 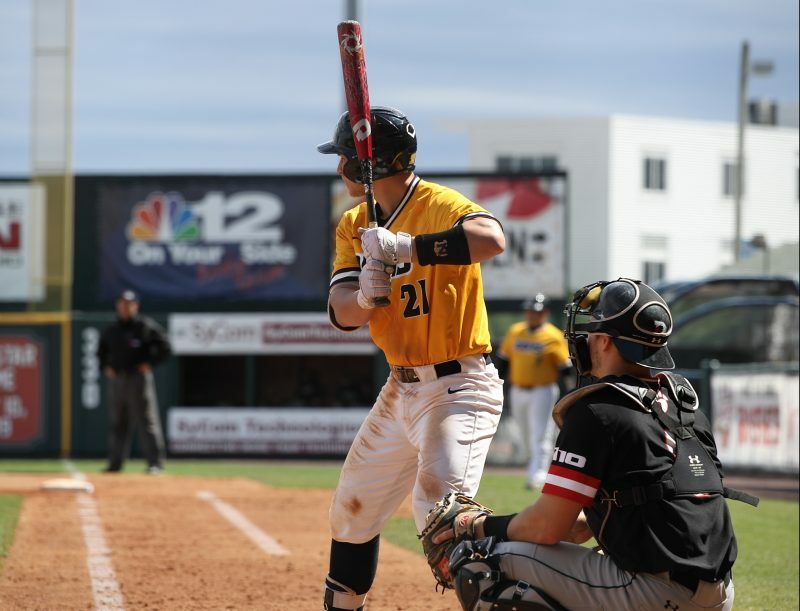 VCU fell behind early when the Explorers cracked the scoreboard in the first with a solo home run off the bat of second baseman Peyton Sorrels. But the Rams responded with a run of their own in the top half of the sixth. After the Black and Gold held LaSalle scoreless in the bottom of the sixth, VCU broke the game wide open with five runs in the top of the seventh. The Rams loaded the bases quickly with a pair of one out singles by Ching and sophomore utility player Hogan Brown, followed by a walk from Norwood. Witt then doubled down the left field line to bring in two runs before junior outfielder Brandon Henson added to the onslaught with a three-run home run to extend VCU’s lead to 6-1. VCU added five combined runs in the eighth and ninth innings to close out the contest. Senior right-handed pitcher Jack Alkire earned the win for the Rams after entering the game in relief of junior right-handed pitcher Connor Gillispie. Alkire fanned seven batters over four scoreless innings. Baseball will be back at The Diamond April 12-14 against Fordham. First pitch on April 12 is at 6:30 p.m.